Pranger is proud to be the U.S. distributor of Hydrotech microscreen filters for the aquaculture industry, including the Discfilter. The Hydrotech Discfilter is a mechanical and self-cleaning filter that offers a large filter area in a small physical space. The water to be treated flows by gravity into the filter segments from the center drum. Solids catch on the inside of the filter panels mounted on the two sides of the disc segments. As the solids catch on the inside of the filter media impeding the flow of water through the disc, the water level inside the discs begin to rise, triggering a level sensor to start the disc rotation and a backwash cycle begins. High pressure rinse water washes the solids off the filter media into the solids collection trough. 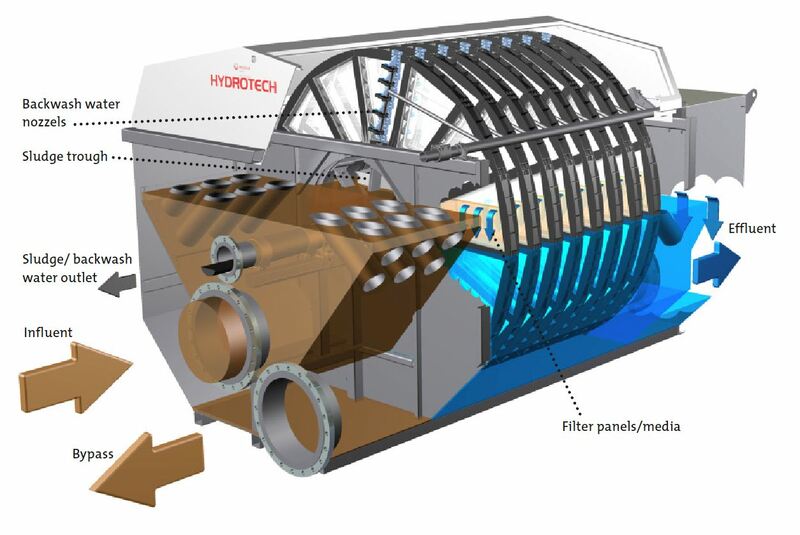 Hydrotech offers several different series of Discfilters, ensuring you can find the features that are just right for your aquaculture system, whether it is lower weight and greater filter area, the patented moving backwash spray header, quick-access panels, and more. Pranger is pleased to partner as the U.S. distributor of Hydrotech’s Discfilters, Drumfilters, and Beltfilters for the aquaculture industry. Pranger will work with you to identify the best filtration solution for your needs, whether it is a new piece of equipment or simply the right parts to maintain your existing unit. For more information on Hydrotech filtration solutions for your aquaculture system, contact Pranger or request a quote today.